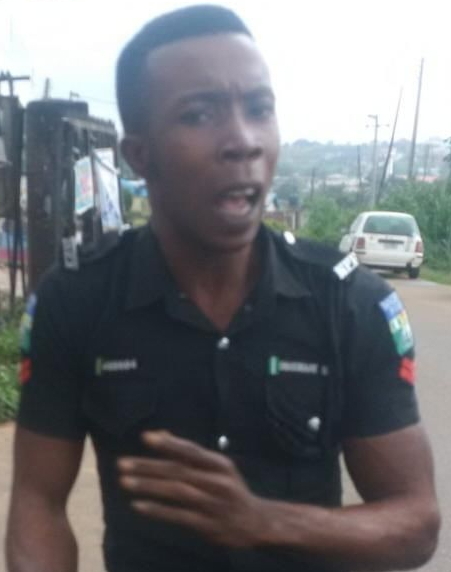 This officer is currently in trouble for attempting to extort money from a motorcyclist in Ibadan Oyo state. 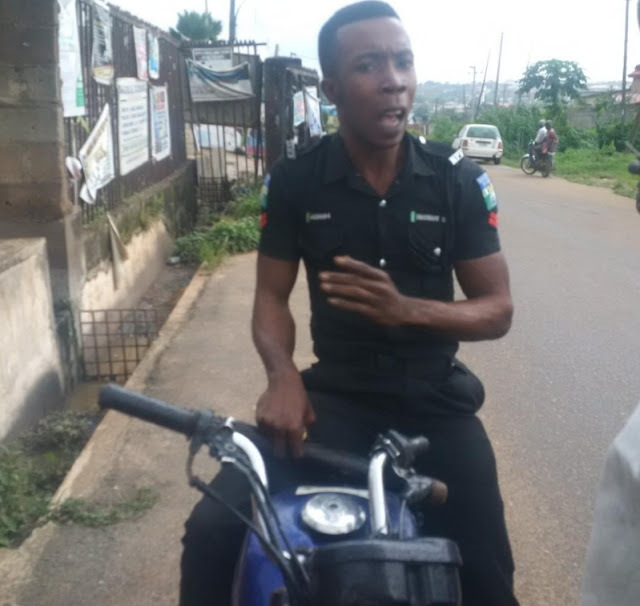 The unidentified officer on duty at the General Gas area of Akobo Ibadan allegedly seized the motorcycle below from and Okada man who allegedly refused to “dash” him something (bribe). In the process of trying to collect bribe, this corrupt officer put the passenger being carried by the motorcyclist in arm way. 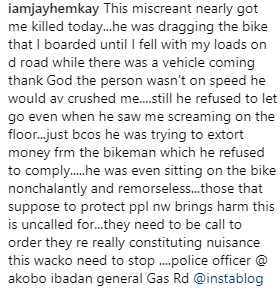 Here is how the passenger narrated her ordeal on Instagram. I would like to see the policeman’s face when he is shown this story written about him. 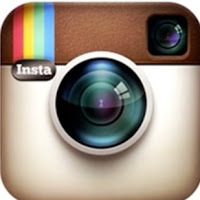 People forget that cameras are everywhere these days and people are snapping away when you are not aware they are.